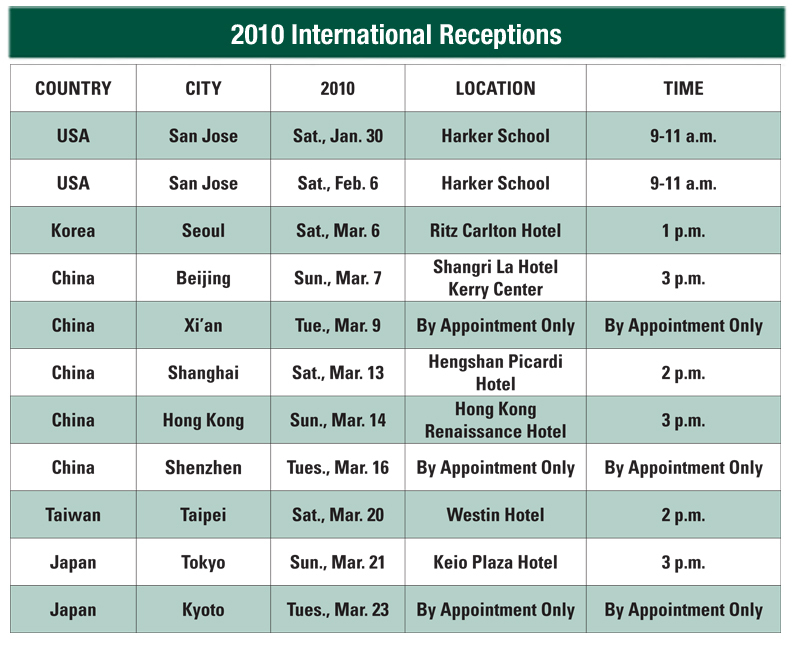 The Harker School’s English Language Institute (ELI), known worldwide for its quality English language training program, will be hosting a series of local and international receptions for those who wish to learn more about the 2010 ELI program. Local receptions will be held on the Saratoga campus on Sat., Jan. 30, 9-11 a.m. and Sat., Feb. 6, 9-11 a.m. RSVPs for these events are now open. For a complete list of the international events visit our ELI Web page. Students from all over the world gather each summer to participate in this intensive academic program, which focuses on improving English and writing skills. Many students enroll in Harker’s ELI program to prepare for admittance into some of the nation’s best boarding as well as international schools worldwide. Beginning and intermediate students have class Monday through Thursdays, and each afternoon join with other summer camp attendees to meet new friends, practice their English skills with native speakers and learn to play typical American games and sports including swimming, basketball, baseball, hockey, soccer, inline skating, archery and more. Advanced students follow a curriculum that mirrors Harker’s regular English program, focusing on mastery of writing, comprehension and oral presentation, and applicants must pass an exam to be admitted. To accelerate learning, native “conversation partners” engage international students in academic discussions about their writing and language projects. ELI has also partnered with Go Beyond to provide families from China a variety of services including testing, translation, registration assistance and more. Please visit their Web site for more information. Registration for the English Language Institute opens Feb. 1, 2010. For more information about summer programs for international students, please contact English Language Institute Office E-mail: ELI@harker.org; Phone: 001.408.553.0524; Fax: 001.408.376.0283.